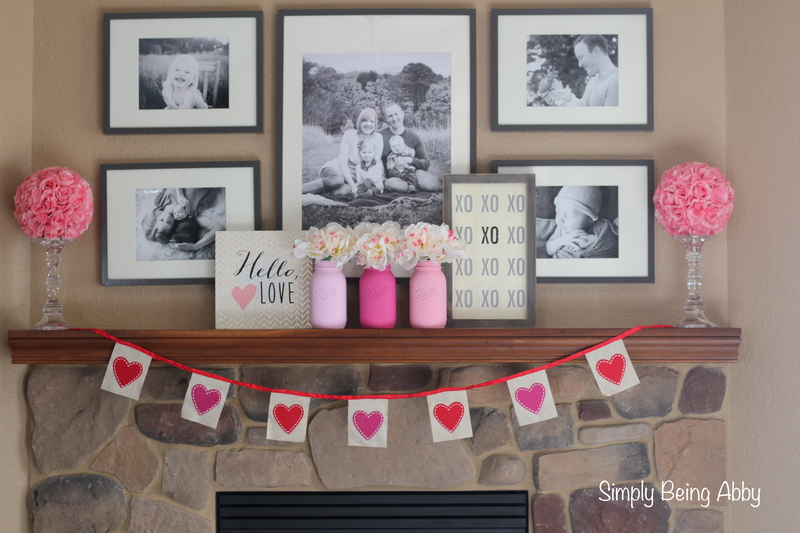 One of my Valentine’s Day decorating goals this year was to tackle our mantel. 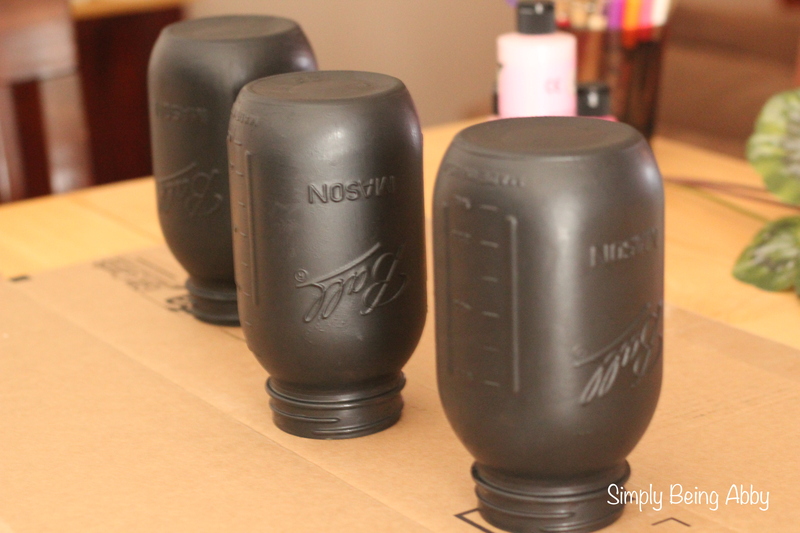 As I was picking and choosing what I wanted to do, I decided to try my hand at painting some mason jars. This is something I had wanted to try and just never made the time to do it! 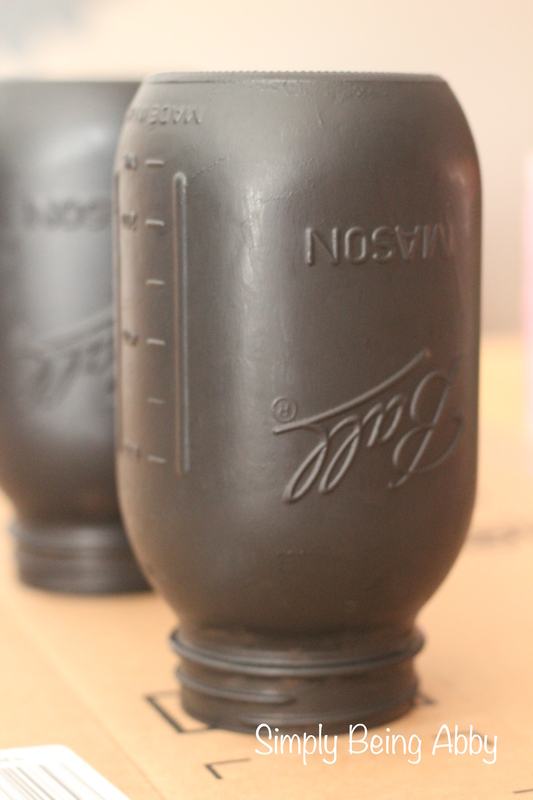 I am here to tell you today that this is probably the easiest project I have ever tackled and really truly takes minimal time and effort (outside of being patient and allowing the jars to dry in between coats). On top of being easy, it was so inexpensive too! 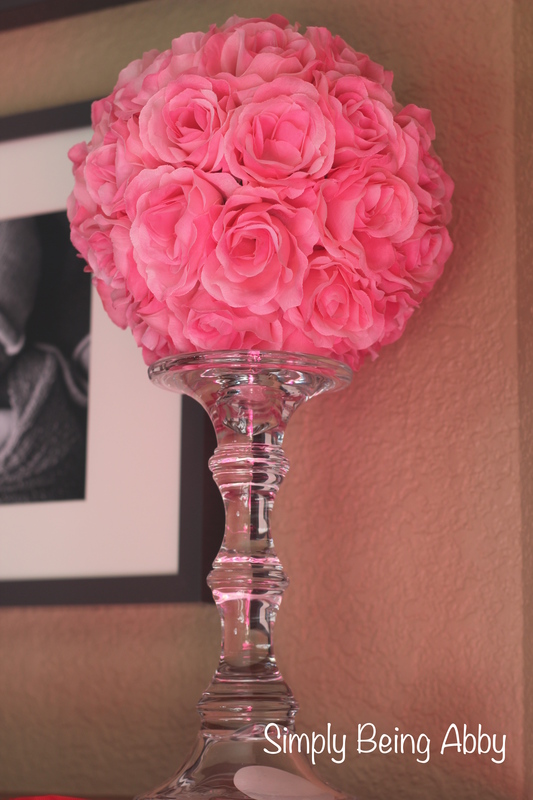 And I love the idea of doing this again for centerpieces for parties or other holiday decor. 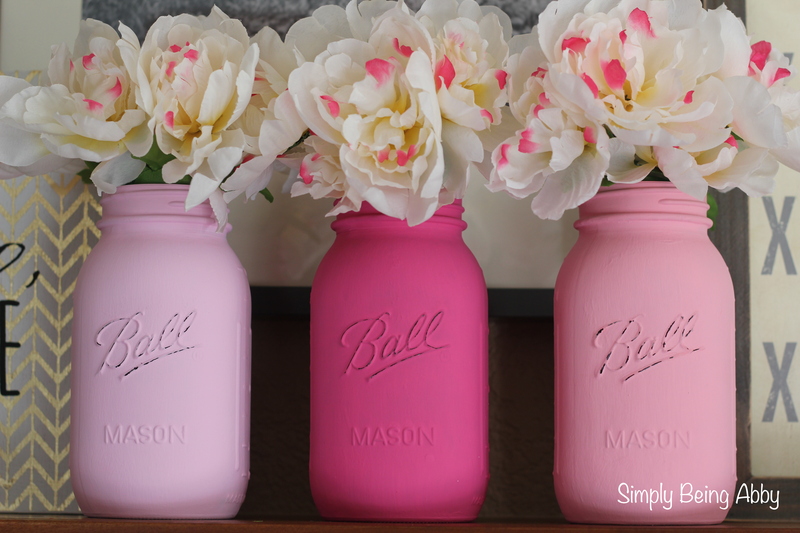 I liked the idea of the jars having a “chalky” look to them, so I painted them first with chalk paint and then covered them with regular acrylic paint. I also slightly distressed the label on the front to the jar to give them more dimension, but you wouldn’t have to do this if you didn’t want that look. 1.) 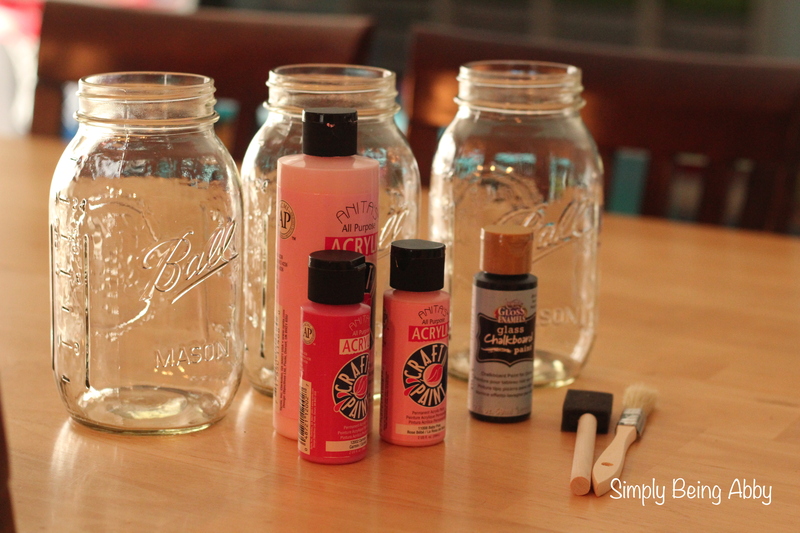 Clean the outside of the mason jars with rubbing alcohol. 2.) 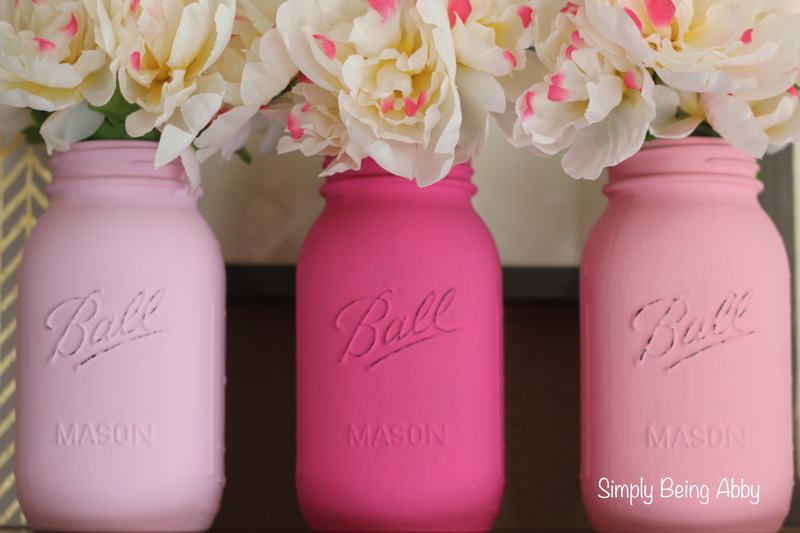 Paint the jars with the chalk paint. I used chalk paint made specifically for glass, and I found a craft sponge to be the easiest way to paint for this step. The directions on the bottle said to allow the paint to dry for four days. Because I was not going to actually use the jars to write on with chalk, I allowed them to dry overnight and that was long enough. 3.) Once the jars are completely dry, (Again, I would recommend not rushing this! Let them dry overnight. If you don’t let them dry long enough the paint will just peel off and you will have to start over. Patience!) you can paint them with the colors of your choice. Start with one coat at a time, allowing to thoroughly dry in between. 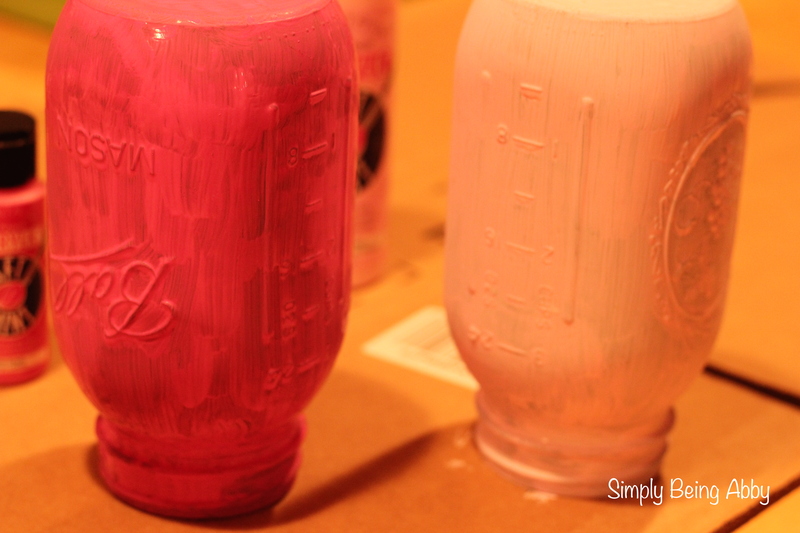 This is what the jars looked like after one coat of colored acrylic paint. I ended up doing three coats total on each jar. The amount you need will depend on how dark your colors are! You’ll know. 4.) 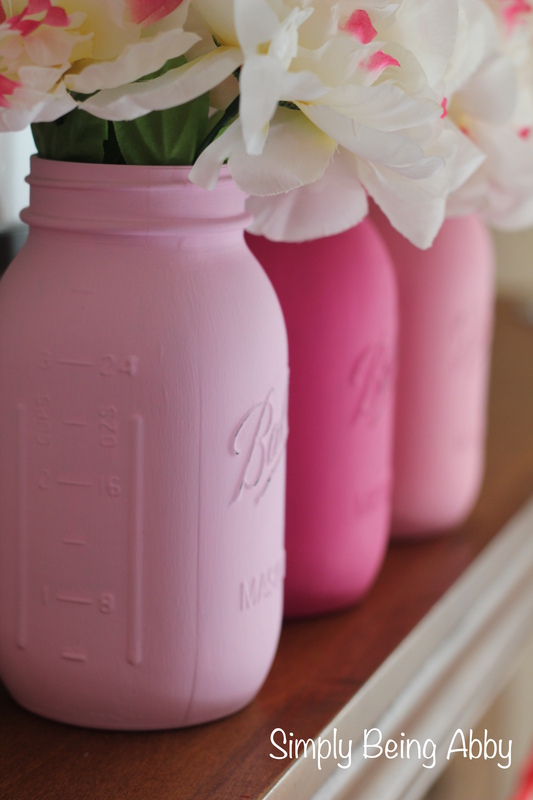 Once the jars are dry, you can distress them however you would like. I found that a nail file worked really well and gave me enough control so I wasn’t scraping up parts of the jar that I didn’t want to. 5.) You can fill the jars with whatever you wish! I used flowers from the Dollar Tree because they were budget friendly, and actually cuter than what I could find at craft stores. You could leave them empty too, and they would look just as cute! 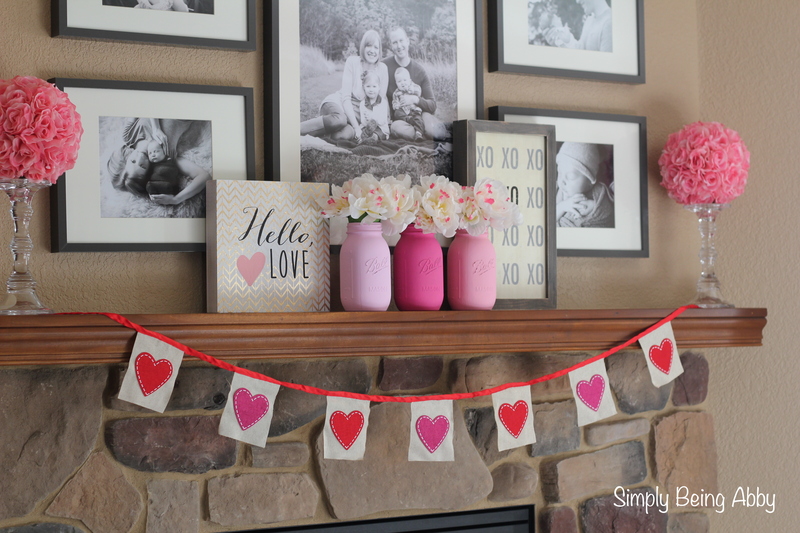 I am so happy with how these turned out and seriously, they were so cost effective! 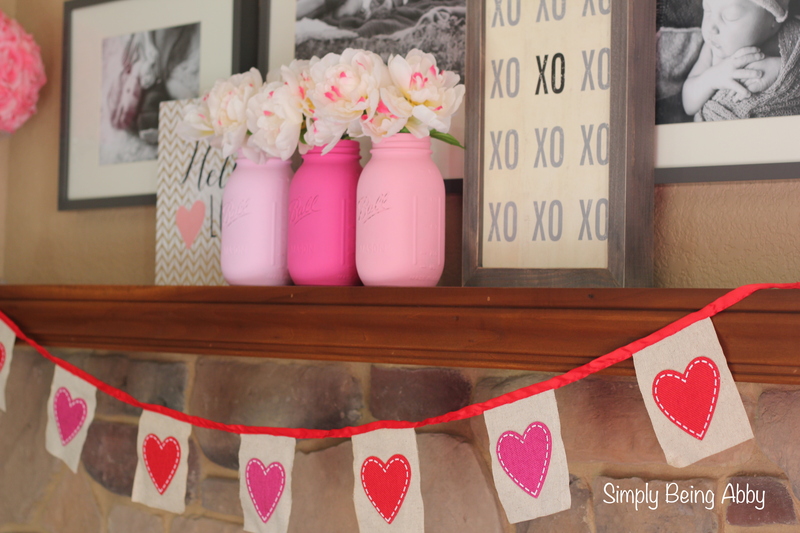 The mason jars were $0.75 each, the acrylic paints were $0.77 each and the chalk paint was $2.99 (less if you have a 40% off coupon for Hobby Lobby) for the bottle. And you can’t beat $1.00 flower bunches! So cute!!! 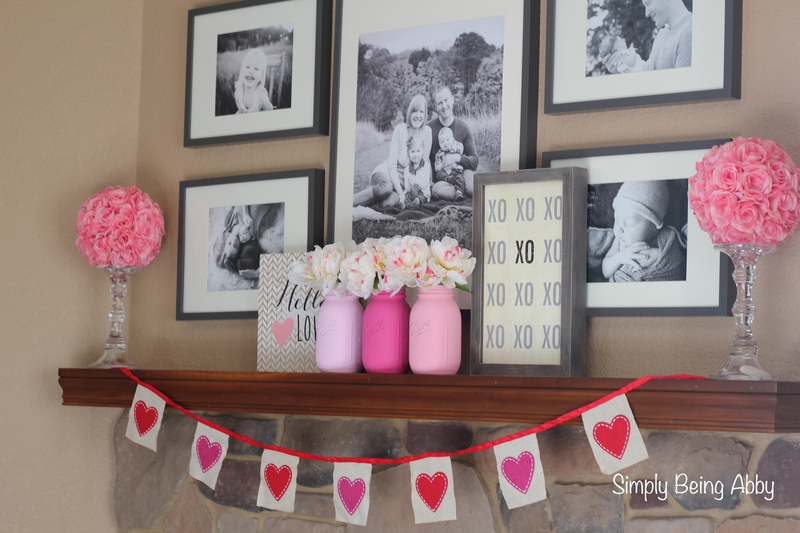 I love seeing your decorating posts (actually love seeing all your posts)!! !